George Smith wrote his first fundraising ad as long ago as 1962 – for Oxfam. In his late twenties he was appointed European coordinator for a major-league American advertising agency and, by way of contrast, was elected as a local councillor in an inner-London borough. He formed the Smith Bundy direct marketing agency in 1973 and served as its chief executive for 20 years. During those years his copywriting skills were applied to many diverse commercial direct marketing clients, yet fundraising was always a specialism. 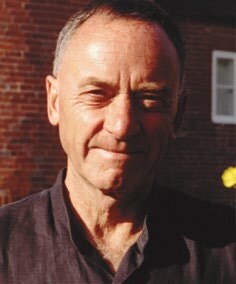 In 1990 he was awarded the UK’s DMA Gold Award for work on Greenpeace. Between 1987 and 1993 he was additionally chief executive of the International Fund Raising Group, responsible for the celebrated Noordwijkerhout conference and a growing number of events around the world. George was also a director of Burnett Associates Limited. His monthly articles in Britain’s Direct Response magazine were published in 1987 as a collection called By George. He became chairman of the UK’s Institute of Direct Marketing in 1997 and is an honorary fellow both of the IDM and the Institute of Fundraising – the only person to date to have been given both honours. George Smith is author of Asking Properly, Tiny Essentials of Writing for Fundraising and Up Smith Creek.